Worked on the large outer entrance to the warehouse, cleaned up a lot of the geometry for the outer part of the building structure. Added some detail pieces, cleaned up some minor things with the window geometry and fixed some lighting issues. 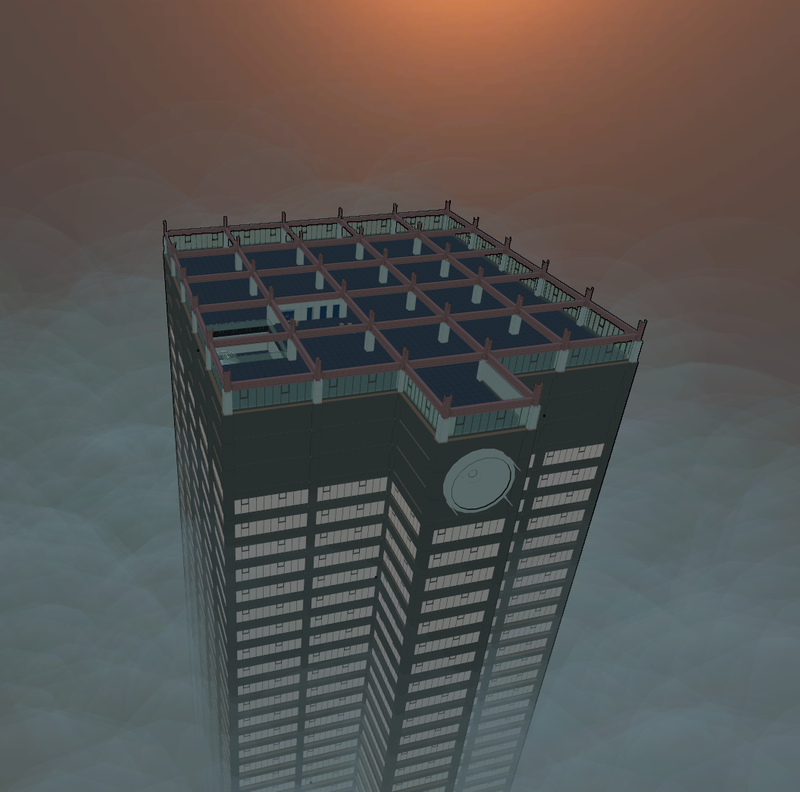 I also started playing with making a cloud for the bottom of the skyscraper and to see how that would actually look. Looks more like some sort of mist than a dense volumetric cloud right now, but it will get there. Still continuing to work on the warehouse entrance and making that look and behave all spiffy.